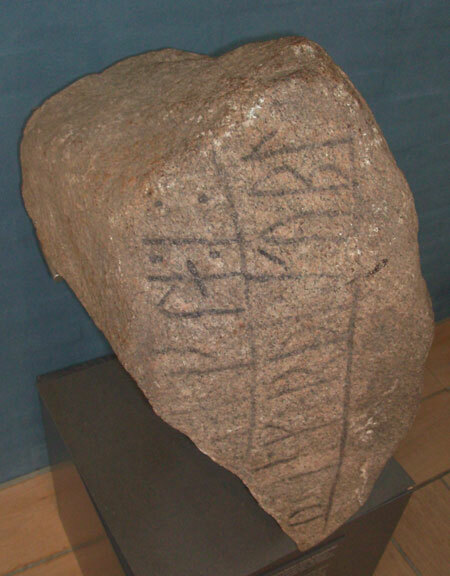 This is the third rune stone in Jelling, but unlike the other ones this one is standing in the museum, across the road from the other monuments. Arild Hauge sent me the photo. Thanks !